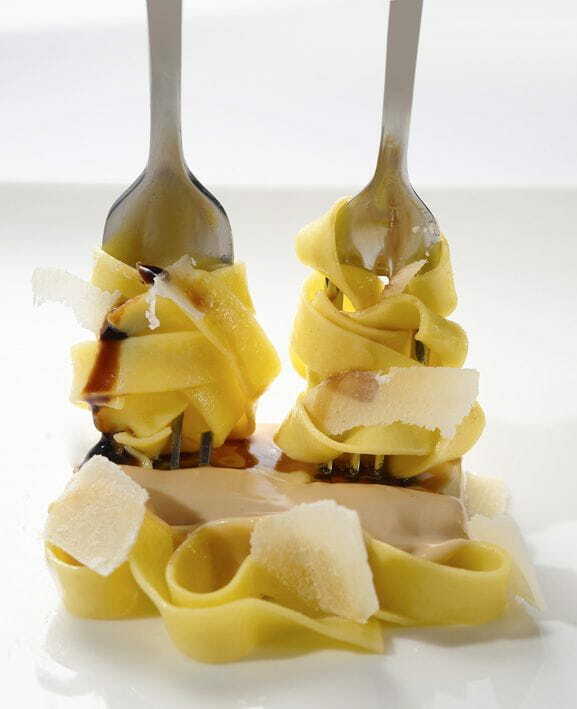 Boil the tagliatelle and place them in forks so we can eat them in one bite, make 4 or 5 of these and set aside. To serve, heat a little water and blanch the tagliatelle. Place the Pedro Ximénez in the bottom of the hot plate, then place the forks, and dress with hot Natural Foie gras sauce, decorate with some flakes of Idiazabal and end Maldon salt.